Our garage door company in Portland has been in business since 1990 and still to this day family operated and owned. We are a proud accredited member of the BBB in Portland OR. Our mission is to deliver satisfaction with excellent garage door repair deals in your town, while keeping you happy with your garage door repair that you receive from us.We specialize in installing new garage doors in Portland OR, including surrounding areas. Aside from new garage door installations, we offer garage door repair service in Portland. We are excellent at providing full-service garage door repair and installation with our qualified attention to all of your garage door repairs needs. We carry a fresh new garage door selection, garage door openers, garage door torsion springs, garage door extension springs, garage door panels, garage door hardware and a whole lot more! We strive to please you and gain your garage door repair business.Our craftsmanship is guaranteed to match or even beat the prices that were given to you by another garage door company. We also offer free estimates on most of our garage door repair and are best done in person. If you prefer a quicker garage door repair quote, you can always give us a call at (503) 483-0846 to get it over the phone. 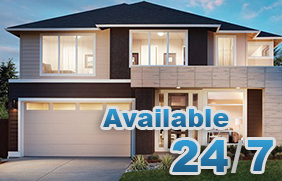 Are you looking for a brand new garage door? Well Garage Door Portland has a great selection of many different options when it comes new garage doors. Our company installs all types of garage doors, by all of the popular manufacturers in America. We work with 1st United Garage Doors, Amarr, CHI Garage Doors, and more. These great garage door manufactures have many great options to choose from to give you a piece of mind that the garage door you will select is the right choice for your property. We can also help you choose custom panels to match any manufacturer garage door that you may have installed before. There are many choices, from steel garage doors to wood garage doors, and vinyl garage doors. Give us a call for more details.